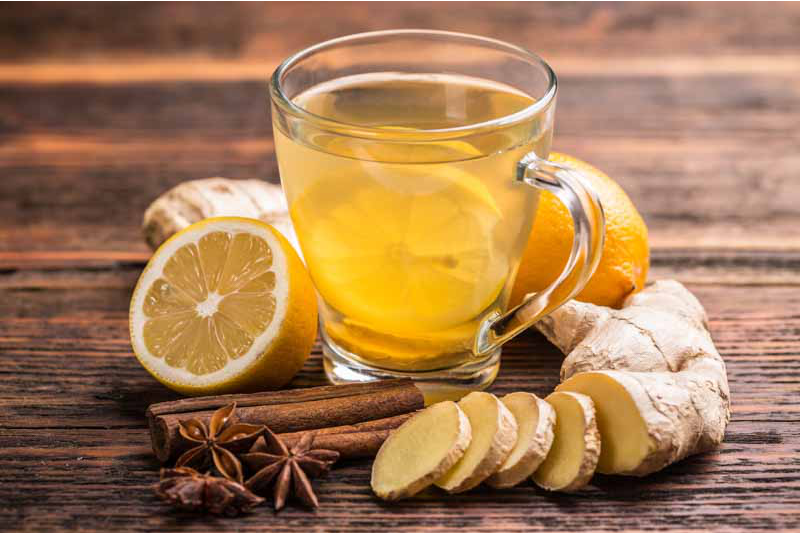 One of ginger’s most important uses is in treating ailments of the digestive system, It is most beneficial if you have a slow and weak digestion it will help to relieve flatulence and help to improve assimilation and tone the digestive process. It is particularly helpful in cold and damp weather as to is warming and strengthens the immune system. It combines well with juniper, peppermint & pepper. Melissa – is a carminative to relieve flatulence, colic, dyspepsia etc. it is also anti- inflammatory and can be used for ulceration and stress related conditions. Mix with a base oil rub on your abdomen or add to a bath. • Cold pressed almond oil in a dark glass bottle- one of the most popular of all the base oils, almond is a nearly odourless fairly light oil that is readily absorbed by the skin and is well tolerated. If cold pressed it contains vitamins A, B1, B2, B6 and a small amount of vitamin E.
• Apricot kernel oil in a dark glass bottle – light & odourless oil it is suitable for the face and other areas of delicate skin, it contains vitamin A and some B group vitamins. • Extra virgin coconut oil- is solid at room temperature but liquifies at body heat, so before use melt it by warming it in your hand or on a radiator. It is traditionally used for dry skin due to it’s deeply nourishing qualities. You can melt the coconut oil, add the essential oils and stir before allowing the oil to set again so that you can use a little of the prepared oil as required. 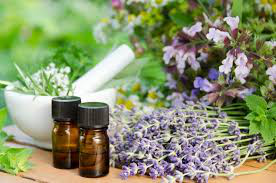 Lavender – is a versatile and calming oil which is helpful for digestive problems that have a nervous origin, including flatulence, diarrhoea , indigestion and nausea. Mix with a base oil to rub on the abdomen or add to a bath. Yarrow – a cooling and soothing oil that is both calming and tonic with an overall balancing action. The antispasmodic properties of yarrow me it useful in the treatment of stomach cramps, flatulence and colic. It is also a digestive tonic, stimulating the digestive juice and encouraging the assimilation of nutrients. It combines will with lavender, chamomile, Melissa and citrus oils. Basil- ( use in moderation not for prolonged periods of time) is an excellent nerve tonic, both relaxing and uplifting, especially good for relieving flatulence and where digestive disorders are the results of nervous tension. Fennel – a carminative and digestive stimulant fennel will relieve flatulence and digestive spasms. When food is not carried through the digestive system, putrefaction occurs and gas will form; fennel is one of the main oils to encourage food to be digested properly and to help expel gas. It may be combined with a tiny amount of cinnamon with a base oil and massaged over the abdomen to strengthen the digestion. Cardamom – is an anti spasmodic and carminative alleviating nausea, flatulence, indigestion, colic and heartburn. It may be diluted in a base oil and massaged over the abdomen, or the seed may be chewed to release the essential oil. It can be used as a general tonic for a sluggish digestive system and help to encourage better assimilation of food. This recipe is a light drink that will get your digestive system in motion. This drink is best sipped slowly and followed by a massage with some of the massage oils listed. 1 drop ginger EO or freshly grated ginger. 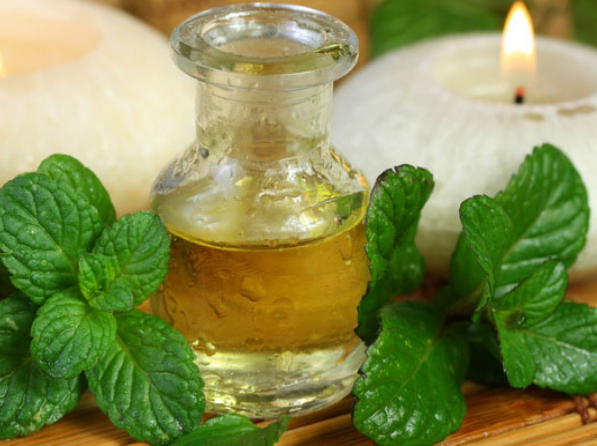 Peppermint – encourages the easy absorption of food and can be used for any symptom of a sluggish digestion, such as indigestion and flatulence. It also helps to stop regurgitation, sour risings, belching and hiccups. It blends well with fennel and orange and can be massaged over the abdomen. Coriander -is an excellent digestive tonic which is why it features in many aperitifs and liqueurs. It encourages better assimilation and is an important oil to stimulate appetite, improve a compromised digestive system and strengthen the nervous system. Mandarin – the primary action of mandarin is on the digestive system and it can be used to treat problems arising from a slow digestion such as dyspepsia and gastralia; it will encourage peristalsis and help to relieve constipation. Orange – the primary function if orange is on the liver and digestive system. It is one of the main unblockers, helpful when there is congestion of the liver or spleen; it’s action is very gentle and easily tolerated. It acts as a mild aperient, helping bowel movements by encouraging peristalis. Orange combines well with fennel, aniseed and peppermint for prolonged digestive problems. Orange may be used as a massage or bath oil. Grapefruit – main action is on the liver where it has a cooling and detoxifying effect. It is a mild aperient and will encourage peristalsis thus relieving constipation. 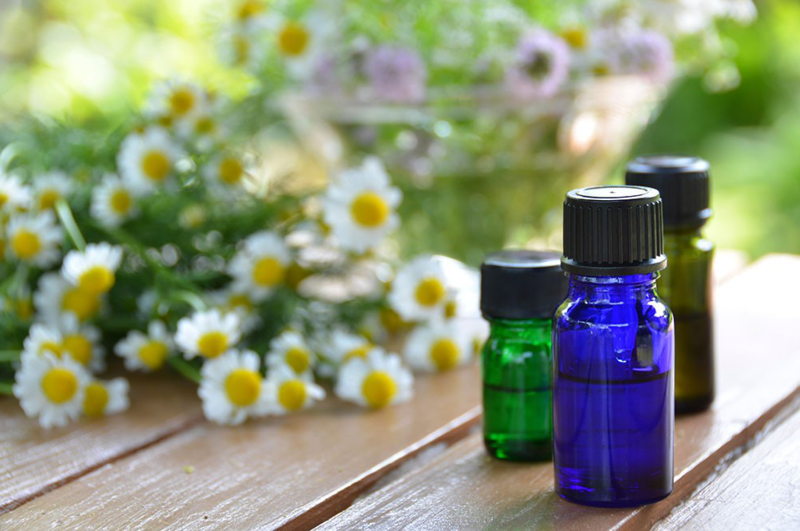 Combines well with oils such as eucalyptus or pine. Can be rubbed in a base oil on the abdomen or used in the bath. Cinnamon – is a pungent and warming oil with stimulating and tonifying effects. Cinnamon will stimulate a sluggish digestion and strengthen peristalsis in people prone to constipation but must be diluted in a base oil before application no stronger than 0.5% ( do a patch test first ) only suitable for body not face, blends particularly well with clove, eucalyptus, frankincense, lemon, Mandarin and orange.